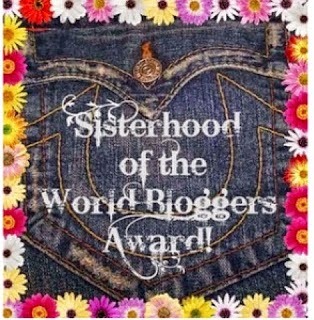 My friend Laura 'nominated' me for the Sisterhood of the World Bloggers Award last week and then I completely forgot all about it! Who does that?! All week long I've been struggling, trying to find words to put to paper (so to speak) to make a post, when I finally remembered that I still need to answer Laura's questions. If I don't write things down they never get done when they are supposed to! 3. Where's the farthest place you've ever driven to (or road tripped) why did you go and who were you with? I have driven from O-town, Saskatchewan to New Braunfels, Texas three times now. The first two times were with my immediate family - mom, dad, brother and sister, and the last time was with my brother and sister law (read about it here). It's a 27 hour drive and when I went last May we drove straight through without stopping to sleep. 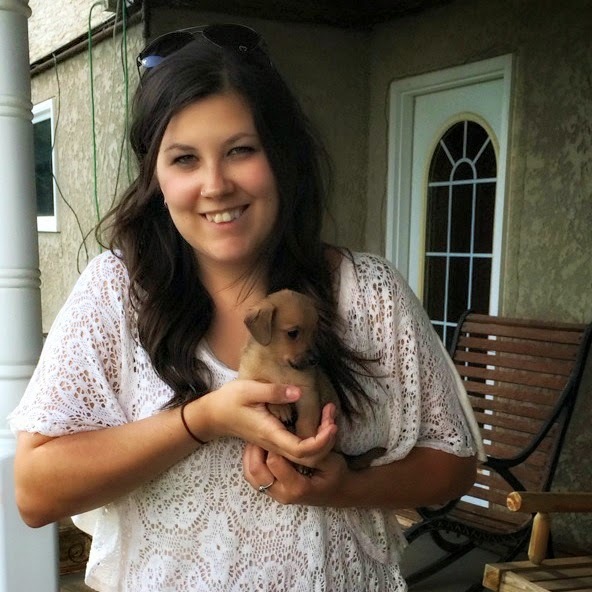 My Dad is originally from Northern Alberta (so north you're almost in the Northwest Territories) and the drive to get to Fort Vermillion, where he grew up, is an 18 hour drive and that drive seems even longer than the drive to Texas - its unbearable! My reaction the second I put the shrimp in my mouth 7. Has someone close to you lost someone in their family? How did you handle it (this is happening right now to me, help!) I've only lost my grandparents, which was heartbreaking, but they were also all seniors when they passed so not comparable to other peoples losses. When my parents were young they were in a car accident and two of their friends passed away, including my mom's best friend. They don't like to talk about it to this day - its too hard for them. Sorry I'm not much help! 9. What is the one purchase you've made on your own that you are most proud of? Eleanor, my SUV. I've made all the payments on my own and I'm two years away from finally being vehicle debt free! At the time that I purchased Eleanor I was driving an hour and a half every day on the highways to work (during crazy Canadian winters) and wanted to upgrade to a better vehicle for highway winter driving conditions. All said and done she cost me $46,000 (vehicles are more expensive in Canada, fyi) and if I hadn't bought her I would be waaay closer to my goal amount for my operation down payment plans than I am now, but at the time she was the best decision for the driving conditions that I was facing during the winter. I treat her like a baby and I plan on having her for many, many years to come! 10. What is your job and where do you work (because I'm nosy like that). I am the Director of a childcare centre in my hometown. I was involved in the entire process of getting the centre opened - from the very first step - so the centre is my baby! I'm almost at my two year anniversary with the Centre and I swear the time has flown by! I don't work on the floor anymore (as we call it) so I don't work directly with the children - I run the centre, hire the staff, supervise the staff, do billing ,payroll, etc., etc. My job description is a mile long and somedays my workload is crazy and I'm stressed to the max and somedays I absolutely LOVE my job and wouldn't imagine doing anything else. Thanks for 'nominating' me Laura. I don't have enough brain power left in me to actually come up with ten questions of my own so I'm actually only half-assing this. Sorry! I totally have written list of names (with middle names) because I'm crazy like that. Charlotte is one of my top girl names too! Also I hate mushrooms! Just ick. And that Craven Country Jamboree? SIGN ME UP!!! I think Krickit is a super cute name! I named my cat Octavian and I am honestly sad I wasted it on him and didn't save it for a kid, haha. I'm amazed that you have so many responsibilities at work. You go, boss lady! On Bonus Bitcoin Faucet you may claim free bitcoins. 300 to 5,000 satoshis per 15 minutes. Get free satoshis over at Moon Bitcoin. 514 satoshi per day.